How is it possible to remember a place that has no memory? Remains of the once picturesque river valley no longer exist. 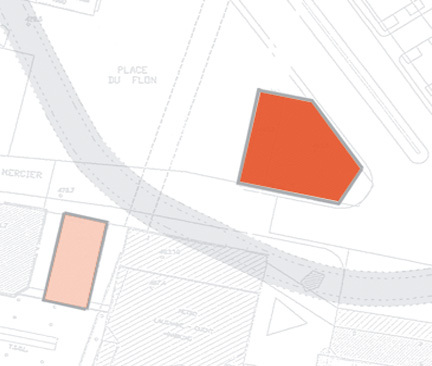 The bed of the river Flon has been filled in, the water canalised underground, the ”platforme du flon” built up with warehouses in grid formation. Due to the topography of the valley, the roofs of the industrial quarter lie at the town’s feet, and can be viewed from different sides. 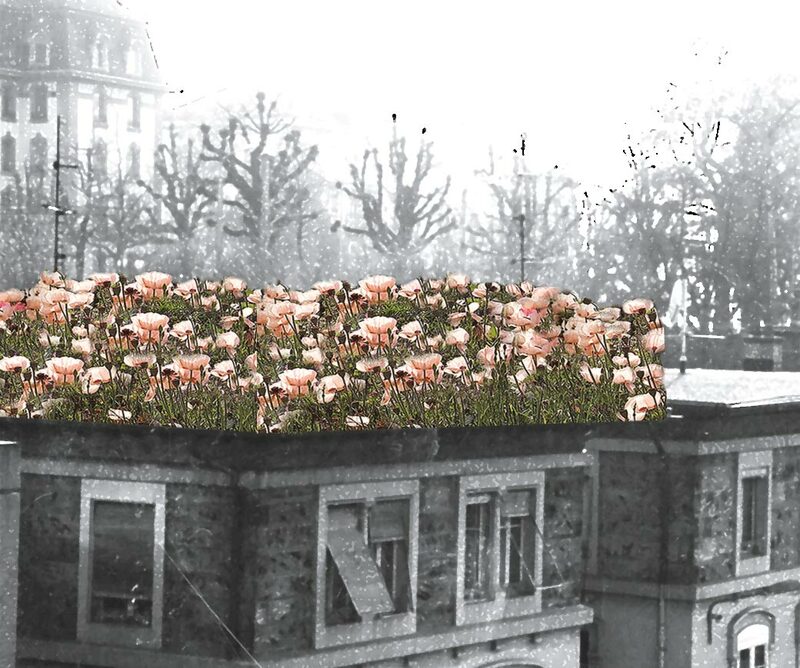 For the space of one season, fields of poppies will grow on two of the roofs (to the left and to the right of the subterranean canal). 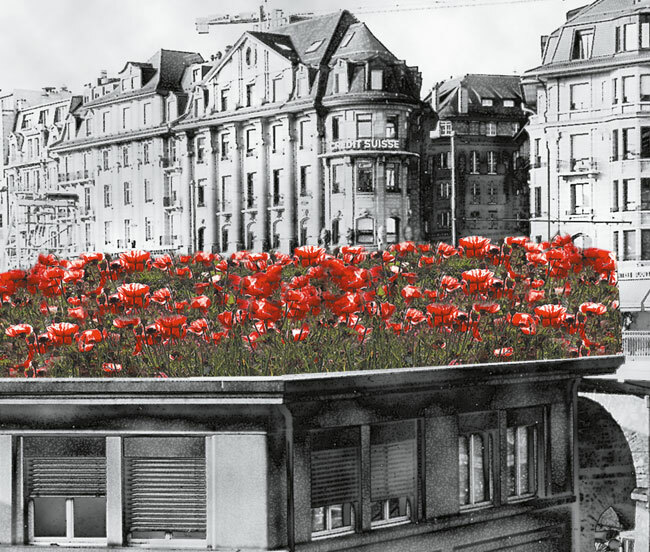 On the one hand, the flowering poppies at the level of the roofs are a symbolic recollection of the former meadows in the river valley. On the other hand, the poppy bears cultural associations to heaviness, sleep and forgetting. The ambiguity of the poppy, with its light, airy petals, connects the town and the sky.